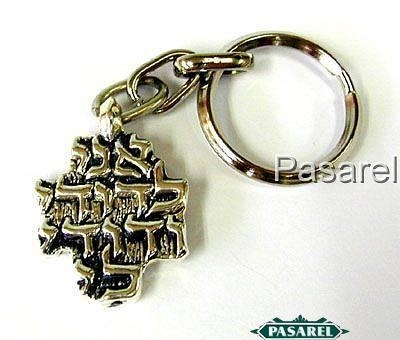 The keychain is beautifully executed, inscribed in Hebrew Ani Le´Dodi Ve´Dodi Li (I am for my beloved and my beloved for me) over textured background. This item was made in the electroforming method. Height: 3.5cm. / 1.378in. Width: 2.5cm. / 0.984in. 12.8gr. / 0.412oz.